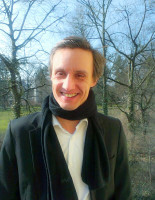 André Renis studied modern German literature and philosophy at Freie Universität Berlin and Universität zu Hamburg until 2003. Beyond this he learned auto didactically computer programming. These programming skills made his career switch to a different working field. From 2000 to 2009 he was responsible for databases and software applications for restoration planning, cultural heritage, museums and archaeology at ProDenkmal Berlin. Besides this he gained more experience within the IT sector by working as a freelancer for diverse companies. Since 2015 he is member of the Excellence Cluster Topoi and responsible for database projects, such as the digital publishing application of the Edition Topoi or the Forum – Spatial Data Analysis together with Undine Lieberwirth.